As a guest yesterday on the WEMU (89.1 FM from Eastern Michigan University) "Issues of the Environment" segment, I answered host David Fair's questions about how our recent work differed from the established lifecycle analysis methods used to analyze the greenhouse gas emissions impacts of biofuels. The resulting interview has great questions from David and clear explanations from myself about why the results of government modeling of the issue are misleading and why, as far as climate is concerned, it's better to repeal biofuel policies and focus on reforestation and other ways to remove carbon from the air and sequester it on land. 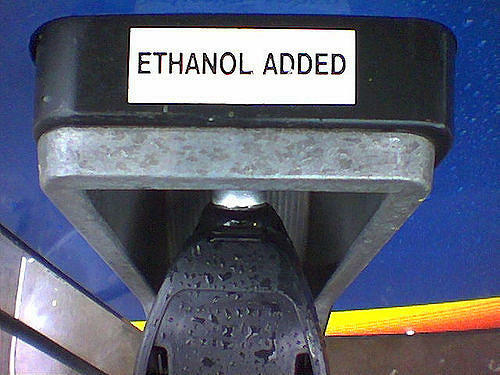 U-M Researcher Calls For End To Current Biofuel Policy In The U.S. In August of 2016, University of Michigan Energy Institute scientists, led by John DeCicco, released an 8-year study. It estimated powering an American vehicle with ethanol made from corn increased carbon pollution more than using gasoline. In this week's "Issues of the Environment,” David Fair talks with Professor DeCicco about the findings and what it means to future policy.